After a traumatic accident, Josh and Ellie is brought closer to each other since no one else seems to get what they're going through. They battle the aftermaths of the trauma together but find peace in each other. "I caught eye with a guy who looked nice, with bright red hair and a big tattoo on his arm. He had a plain white T-shirt and a backpack on. He was just about a few inches taller than me with my 5'5". "Excuse me, could you help me find my train?" I asked him with an apologetic smile. I would probably make him miss his train but I couldn't find anyone who was walking in any other direction. "Yeah sure" he glanced at the train but followed me to the big map on the wall. "Where are you going?" "Brixton" I said and showed him the address. "Brixton... So you have to change here, at Victoria Station" he said and pointed to the spot where the two lines met. "So... Green line to Victoria and then blue?" "You're a fast learner" he chuckled and shot a big smile towards me. His eyes were litterally glittering, like fire. " Josh liked to rush things. His whole life he's been told to "take it slow". He liked to be the first to finish drawings or eat all his food... but he especially liked to rush into relationships. When the new kid Tyler Joseph moves to town, He notices a cute skater boy. That skater boy is the one and only, Joshua Dun. Blurry face decides it's time for Tyler to take his own life. But the vision of his dreams is what's making him stay alive. //story is triggering\\ read with caution and stay alive. Tw- self harm, suicide. (n.) beauty that is more than skin deep. He was so, so beautiful. And not in just the physical way. He was beautiful in what he was. Fire and smoke and tall things and candy and laughter and football games he didn't care about and music that he did and I will never be able to forget any of that, and I can't say that I ever want to. This story will contain upsetting thoughts and actions because of the fact that it's written from the view of a depressed human being. Josh has cancer and so does Tyler. 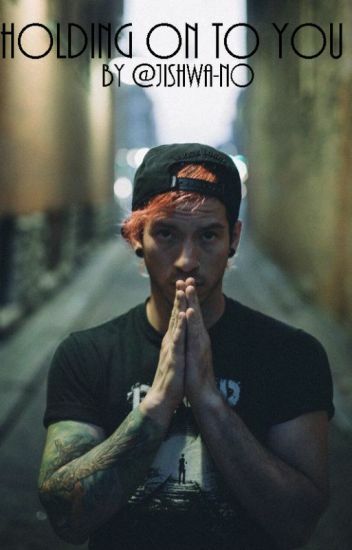 "joshua dun, you are so perfect. so perfect that this feels unreal."